So if you have been a Little Einstein from the beginning you might remember the two cringe worthy collabs that I did with my cousin, Penny, who used to be Daughter of the King but is now Faith Has Made two years ago. Last year I wasn't able to go to her house due to surgery but I did this year and we are back with another collab! We kinda had to improvise with what we had around her house because we weren't able to go to the store to get things but this year's collab is pretty cool. So we are both really into photography and we thought it would be fun to do a photography collab; my post is a DIY camera filter and her post is a DIY camera strap. 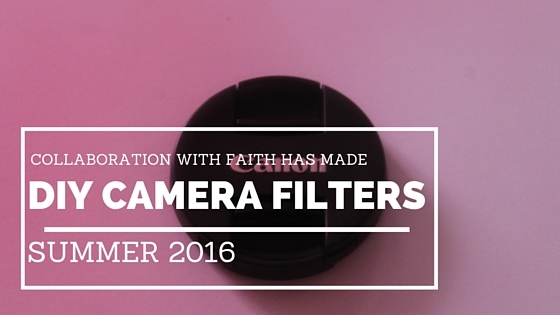 Make sure you check out Penny's post on Faith Has Made!